2013 was the last time these two teams geared up for Thursday Night Football, and Miami came out on top with a safety in overtime, one of the rarer finishes in the last decade for the Dolphins. Miami sits at (1-2), and while traveling to Cincinnati on short rest may seem daunting, the Dolphins have won three straight against Bengals head coach Marvin Lewis, and hold a 15-5 all-time record against the Cincinnati Bengals (1-2). Believe it or not, Ryan Tannehill is in the top 10 in passing, ninth to be exact, with 892 yards (averaging 297 yards per game). He will be without weapons again on Thursday, as RB Arian Foster and TE Jordan Cameron will be out, and OL Mike Pouncey continues to miss time with a hip injury. LB Koa Misi and center Anthony Steen are reportedly out as well. 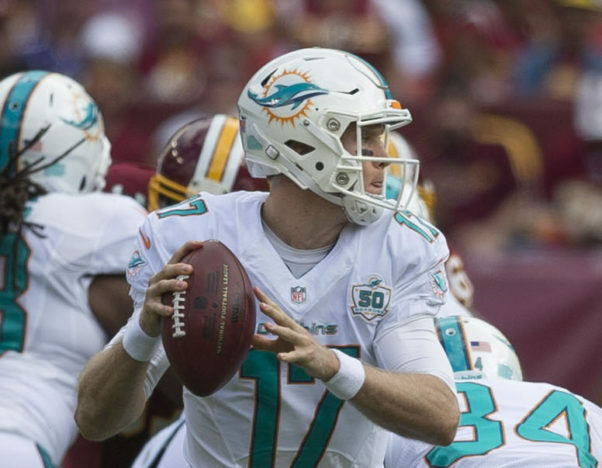 The Dolphins are coming off their first victory of the season, and it wasn’t the prettiest. A 30-24 win at home against the Cleveland Browns in overtime, a game that looked to be in Miami’s hands as they led by eleven in the fourth quarter. Terrelle Pryor’s 200 all-purpose yards put Cleveland in a position to win the game, but a Cody Parkey missed a 46 yard field goal as time expired. Jay Ajayi’s 11 yard touchdown run in OT sealed it, as Miami finally won a close one, after losing 12-10 to Seattle in the opener. The Cincinnati Bengals haven’t been 1-2 since 2011, when they finished the season 9-7 and make the postseason. Losses to Pittsburgh and Denver has put Marvin Jones in the same spot, just one year removed from a 12-4 finish capped off with another one-and-done in the playoffs. How many times can a team lose in their first round before a fan base gets fed up? What if I told you that the Bengals have lost five straight years in the first round of the playoffs. The Bengals opened up the season with a one-point win in New York against the Jets, and has to travel to Dallas and New England (with Brady back) following the TNF game.